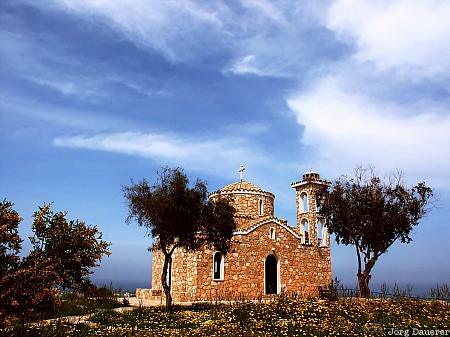 Chapel surrounded by flowers on the in the eastern part of the mediterranean island of Cyprus. This photo was taken on a sunny day in April of 2003. This photo is part of the exhibition Lonely Chapels (October 2010). This photo was taken with a digital camera.